It’s bigger than charters. Bigger than vouchers. Bigger than flipping, or common-core testing, or APPR, or any other school reform idea out there. Those things are important, but only if we talk about them AND the biggest real issue. If we talk about other reform ideas INSTEAD of the biggest real issue, we’ll always miss the point. Reform schemes might be great, but they can’t do it all on their own. This pic shows one Lancasterian’s plan to revolutionize mathematics ed, c. 1830. And the point is grim. According to my local paper, child-poverty rates in my neighborhood are shockingly high. In Rochester, New York, 56.4% of children live below the poverty line. In Syracuse, that number is 47.4%. Buffalo stands at 43.6%. Depressing, you might say, but what does it have to do with school reform? Everything. 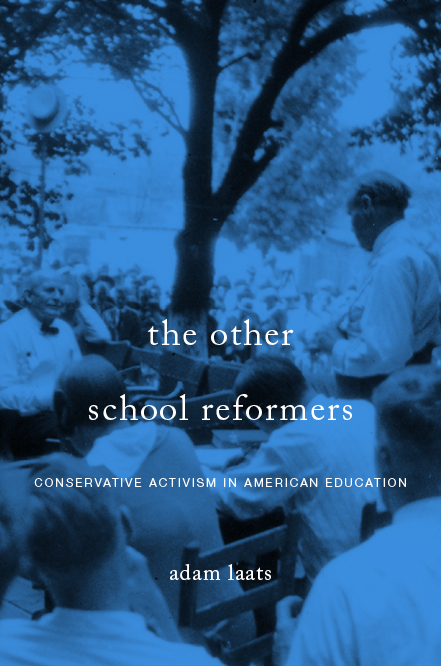 For centuries, well-intentioned reformers have tried to “solve” the problem of poverty by fixing American schools. It doesn’t work that way. Yes, school reforms can help. Public schools can work well as convenient distribution points for poverty-alleviation reforms. Free breakfasts and lunches, for example, can help. So can school-based health care schemes. Too often, though, reformers don’t talk about alleviating the effects of poverty AND improving education. Smart, well-intentioned people often simply assume that improving education can eradicate poverty on its own. It was ever thus. As I’m finding in the research for my new book about Lancasterian reform plans, early 19th-century reformers often glibly assumed that tweaking schools would have an immediate and total effect on the rest of society. By giving low-income students a basic education, they thought, poverty would dissipate overnight like an unpleasant dream. as creating a new aera [sic] in education, as a blessing sent down from Heaven to redeem the poor and distressed of this world from the power and dominion of ignorance. the darkness, which has overshadowed the minds of the poor, will gradually disappear. we may confidently look for that ameliorated state of society, which attempts at reformation, not in themselves radical, have hitherto failed to produce. Universal education must be the means of introducing and ushering in this Sun of Glory whose beams shall melt the chain of adamant and drive the infernal practice [of slave-holding] into outer darkness. Two hundred years later, of course, we can see with depressing clarity: Simply changing classroom methods and schoolhouse design will not, can not, solve the problems of an unequal society. In fact, for schools to work, we have to alleviate poverty first. Trying to fix social problems by fixing schools misunderstands the relationship between formal educational institutions and society. There is no way schools can fix society on their own. We’ve said it before and we’ll say it again: Schools don’t fix society; schools ARE society. But What Do Conservative Students Think? Yet Americans today of all classes are materially much better off than most people were 100 years ago, are they not? In other words, isn’t it a matter of culture rather than poverty per se? I agree that Americans and people around the world, as a whole, are better off materially in 2018 than in 1918. The point remains, though, that Americans tend to be very uncomfortable talking about poverty as a social issue. We much prefer to offer educational “lottery tickets” for a few lucky poor people to claw their way out of poverty than to look at the real challenges of widespread poverty. I understand that you think people overestimate education’s ability to lift people out of poverty. But what I’m saying is that I think we’re barking up the wrong tree. We don’t really have poverty as poverty has historically been understood and as it is still experienced by many millions worldwide. I contend that real poverty — to the point where people lack the basic necessities of food, clothing and shelter — is very rare in this country, and where it exists it’s almost always due to people’s bad choices. We have inequality but that is not the same as poverty. The problem that the relatively poor in this country have is a problem of culture. I realize that these cultural problems usually accompany poverty, but again since poverty is nothing like what it has been historically, all we really have is cultural and economic inequality. If you doubt this, you only have to ask why it is that poor people the world over yearn and strive to come here. It’s because when they come here, even if they’re poor they’re much better off; and there’s also a much better chance of rising out of poverty. If poor people from other countries can come here and rise out of poverty, why can’t our own “poor” do the same? Clearly it has to be a matter of culture. Poor people from this country are not raised with the same drive to work their way out of poverty as people from other cultures. How can we address that? It’s a separate question whether inequality per se is bad. Taken to its logical conclusion, eliminating inequality would mean that everyone earns or is given exactly the same amount of money. In my opinion that’s a pipe dream – unless you’re content to have everyone be equally poor. Even if the poor of this country had the same drive and ability to work their way out of poverty that the poor of other countries have, it’s inevitable that some would end up richer than others due to differences in natural talent and ability, and so you would still have inequality, even if no one was truly poor – which, arguably, judging by historical standards, is the situation we’re already in (referring to inequality but no real poverty). My complaint is mainly that Americans tend to avoid discussing this fundamental disagreement about poverty. It is too painful and unproductive. Instead, we tend to agree to talk about school-reform plans instead. I’m all for thoughtful and well-considered school reforms. What I’m against is pretending that school reform can solve the problems of poverty so that we can keep avoiding that issue. I agree that people tend to focus on education as a solution to poverty and I agree with you that it’s not the answer. If I may clarify my position, although it’s off the main topic, I really don’t think “poverty” in this country is mainly due to lack of effort. Well, it is and it isn’t. Taking me for an example, I raised my kids the best way I knew how, but I’m pretty sure they’re never going to be more than lower-middle-class to middle-class (depending on how you define it), because they just weren’t raised knowing how to make money and climb the economic ladder. And that’s because I wasn’t raised that way either. When I sent my kids to a privately run Catholic school, we encountered a lot of higher-income families that we otherwise would never have met. We met only because we had our Catholic traditionalism in common. But I could see that these kids were being raised differently than mine. Culturally, they were simply expected to succeed economically, and their parents knew how to mentor and guide them in order to make it happen. This is what I and my kids lacked. This is why I say that economic status is largely a matter of culture. It’s not that my kids would not have been willing to do the things that other kids did to succeed economically; it’s that they didn’t know how, because I didn’t know how to teach them and instill certain habits in them. So in a sense it’s due to their lack of doing the things necessary to succeed, but it’s also because of lacking the knowledge and expectations and habits of kids from higher-income families, which isn’t there fault. So again, in short, I attribute it to culture. The rich kids were raised with advantages, but they were mainly advantages of culture. I don’t blame those families for “structurally” keeping my kids down. They are not to be blamed for raising their kids to succeed, nor are they to be blamed that my kids were not raised that way. That’s just life. Poor kids often grow up with inadequate parental examples and lack of mentors, just as I and my kids did, although we started a little higher on the economic ladder. I don’t deny that African-Americans and others start out poor because of past injustices, but a lot of white kids start out poor too, and remain poor, and raise poor children. I maintain that the main thing keeping all children of poor families down *today*, black and white alike, is the way they are raised and the cultural capital that they lack. If there is a way to give them that cultural capital in order to give them a leg up economically, I’m all for it. Tell me where to send my check.